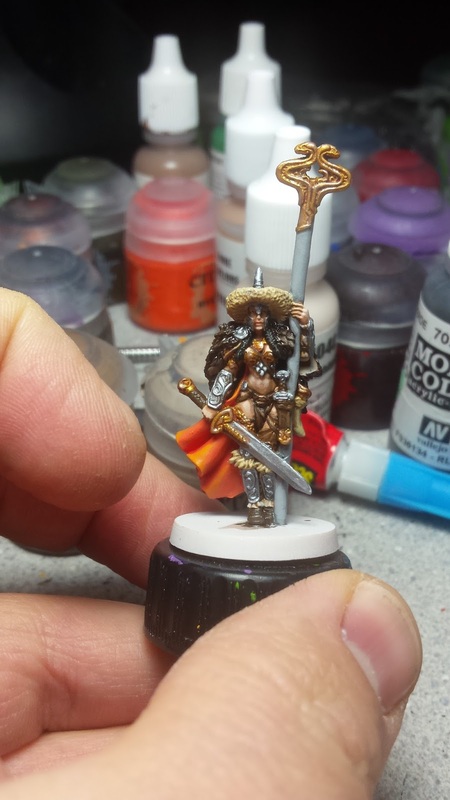 Brush Wizard: WIP - Blood Rage: Snake and Raven Clan Leaders Finished! First up we have the Snake Clan leader, who I showed off a bit in my last post. I decided to give her an orange cloak and limit her palette to browns and beiges. I played around with her skin tone a bit and used a mix of all the different skin triads I own to get a more interesting skin tone. Since a lot of her clothes are brown, I decided to give her mostly silver metallics, except on some ornamental objects, which are gold. on the face of it. I'm not 100% sold on the shield, but it looks OK. Her shield is also slightly battered, so I made sure to give the paint a bit of weathering. Also, since she already has a bunch of dark colors, I didn't want the staff getting lost. So I painted it light grey. When she was done, it was time to hop on the Raven Clan leader. 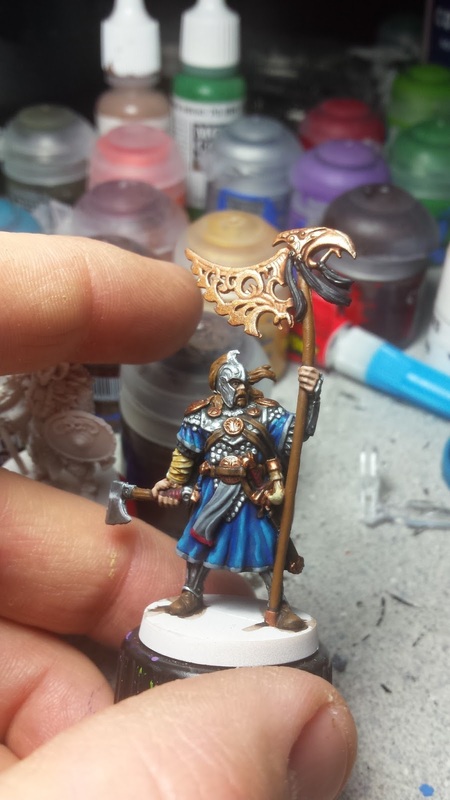 This guy was a lot quicker to paint too, as he was mostly a tunic, cloak and armor. I decided to paint his tunic in his clan color of blue, rather than his cloak, since I wanted to stay away from uniformity. While his cloak was painted black and then highlighted up with grey and white. All of his armor is silver, but this time I painted on some Nuln Oil to darken it up a little more than I did on the Snake leader. While his ornaments were all painted with bronze/copper colors instead of gold. 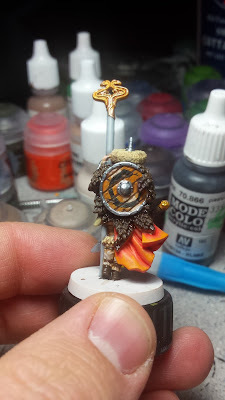 I'm really pleased with his shield, which is also in his clan color with white freehand. 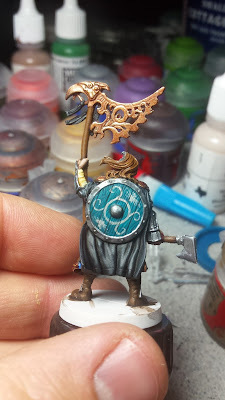 The freehand features two small bird-like images on it as well, as something I want to do on all their shields is feature their clan animal. That's it for now. Next up is the Ram clan, which should be fun to do. 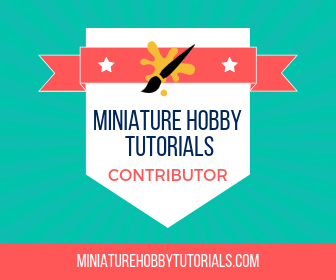 But the mini is miscast a bit, which is sadness.